With its relaunch, The Psychologist aims to reflect and encourage the trend for clear science communication. Here, regular contributors give their views on the benefits of engaging a wide audience. First up, Steve Reicher and Alex Haslam. 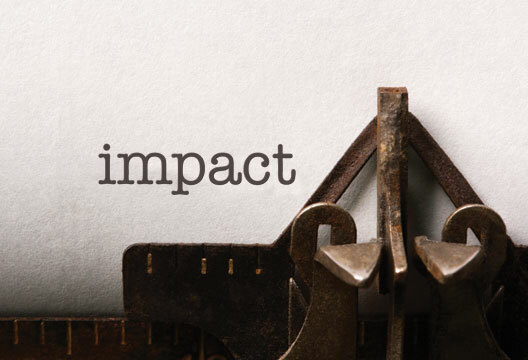 There are doubtless many skills involved in writing for impact. But we will never learn those skills unless we are motivated to do so. For that to happen, attitudes – or rather social norms – in our discipline have to change. There are many entrenched views that stand in the way of taking our work to a wider audience such that, even if we individually want to do so, we fear the reactions of others and the impact on our careers. We want to deal with just three of these views. The first is the growing predominance of the journal article over all other forms of writing. Near the start of our careers, our PhD supervisor, John Turner, used to argue that articles provide the building blocks that allow you to make a broader and more comprehensive statement, typically in books. A discipline of books is a discipline of substantial arguments that are accessible to those in other disciplines and outside the academic world. But since the advent of the RAE (and now the REF) the mania for measurement inevitably means that we prioritise what is easy to measure, not necessarily what is most important. And journal articles, surrounded by a host of metrics (journal impact factors, citations) are easier to judge. Books (which have no impact factor and whose impact is not necessarily reflected in citations) are harder to assess. They might be good. They might not. We have no figures to bolster us. And so local panels, which choose what is entered into the process and which are notoriously risk-averse, overwhelmingly stick to papers. We thereby become an atomised discipline of small points and limited reach. As Naomi Ellemers has observed, psychology has become a sea of dots that are rarely joined up. The result is that we often fail to see the big picture. Sometimes we see no picture at all. Where, then, is the vision that could inspire a wider audience? A second, and related, view, is that books, especially the popular or ‘trade’ book, is a form of dumbing down. And not only books. Anything aimed at a more general audience must necessarily involve simplification. A ‘media academic’ is a term of abuse to denote the failed researcher turned populariser: ‘He who can, does; he who cannot, teaches.’ In our experience, however, precisely the opposite is true. Indeed, when George Bernard Shaw first made this observation, note that he was praising teachers (who he saw as central to the process of intellectual and social revolution) not putting them down. If we write for a ‘high-impact’ journal, we can presuppose that others share foundational assumptions (and hence take them for granted), we can presuppose that others share an interest in our topic, we can presuppose that relatively narrow shifts within a paradigm will be of broad interest. However, the more general the audience we write for, the more we have to spell out or even question foundational assumptions, the more we have to demonstrate the significance of our arguments and the broader our arguments have to be. In many ways we both most enjoy talking to lay audiences or writing for popular magazines. Certainly both of us think that they are among of our most significant work. Yet we could only write them as the culmination of a programme of research, after years of reflection, when we could be limpidly clear about foundational issues and when we were trying to propose new ways of seeing. The popular demands that we achieve simplicity, but that is the opposite of being simplistic. The third view derives, we think, from our threatened identity as scientists. Do we really belong in such a category with all the kudos and (more importantly) the funding that derives from it? Our sense of insecurity leads us to cling on to the surface signs of belonging – and one of these concerns our forms of expression. We must appear as objective, dispassionate and technical as possible. We differentiate ourselves from the ‘soft side’ to which some would consign us. We thus become the living embodiment of C.P. Snow’s ‘two cultures’ of Science vs. Arts. As a consequence, anything that smacks of the literary is suspect. We relate our research clunkily and mechanically. Dullness becomes a badge of honour, an asset not a liability. And yet we are storytellers. Of course we tell stories based on evidence, but we are storytellers nonetheless. And we need to tell stories in a way that engage people, that induce suspense, that provide a frisson of excitement when the outcome is revealed. We must learn different narrative forms and move beyond the military dogma of ‘tell them of what you are going to tell them, tell it to them, tell them what you have told them’ – an approach with all the excitement of a forced route march. We would do well to have storytellers come to teach technique to our students – and to ourselves. In sum, then, writing for impact forces us to address many fundamental aspects of our contemporary discipline. It is more than a matter of glossing the surface of what we do. It is a matter of rethinking our very identity (some of you might have wondered how long it would be before we mentioned ‘identity’). To change our ways won’t be easy, then. But it could be more satisfying than we realise. When I submitted my first piece for The Psychologist – a conference review, I think – I was quite nervous. Like most of us, I had been trained to write in a very specific formal style, with the primary aim of convincing my small audience that I had done a solid piece of research. And although I have always been passionate about spreading my love of science, I wasn’t at all sure how to write something that people might actually want to read! As it turned out, the editor Jon Sutton seemed content to include my effort in the next month’s magazine, albeit after he’d made a few helpful editorial changes. I learned a lot from Jon’s suggestions and my follow-up pieces needed increasingly fewer changes. I confess to getting the bug – people were e-mailing or tweeting me about what I’d written and I started to feel the buzz that I get from doing a really good lecture. A year or so down the line I was asked to write a piece for The Conversation website, which got picked up by The Guardian and attracted way more readership and response than anything else I’d ever written. Directly off the back of that, I was approached by a publisher who was looking for someone to write a book about neuroscience for the general public. Despite some reservations I said yes, and I’m very pleased to say that my book goes on sale in September this year. I can honestly say that writing that first piece for The Psychologist was one of the best decisions I ever made. Without that experience and nurturing, I would never have had the confidence to write for The Conversation and I might well have never discovered how much I love writing. The Psychologist can help you along the ‘path to impact’ – just take that first step of wanting to reach a new audience! The pervasiveness of PowerPoint in public presentations proves that psychologists are putting a lot of emphasis on graphics and pictures compared to straight text. Traditionally, written prose is beautifully suited to convey what you want to say. Pictures were seen only as an aid to the story. But there is a hybrid form, the comic strip. It’s not just a combination of text and pictures, it’s a form that demands the reader understand both. The text is deliberately made up of few words, and the pictures are equally simple. Surprisingly, few have exploited this form, even though it gets closer to the way that psychologists are actually talking to each other. You can easily present the set-up of an experiment and show a cartoon image of the experimenter. Results of many experiments are most striking when presented in graphic form. Comic strips tend to be very short, illustrating just one idea. This is often not good enough as the idea needs to be seen in context. Presenting a psychology paper in this form will inevitably put the gimmick first. In this example, the page is just part of a much wider story that provides the context. Nonetheless, even in this one page, it is remarkable to see that it is possible to reduce complex designs and thought processes into manageable packages of information. Readers can quickly pick up the information, and if their curiosity is caught, they are ready to invest effort in finding out more. They can even go back to the original (text only) article. It is possible to alternate pictures and text, but the hybrid idea is a great challenge. Telling a story in pictures requires knowing precisely what you want to convey. It can be easy to hide a vague idea behind competent prose, whereas comics only work at all if the idea is easy to understand. Harder work, perhaps, but a stronger end result. The hardest part is finding an artistic collaborator. But working with another person, especially someone who is unlikely to have a background in psychology, forms another crucial step. It means that you, the author, have to work out how to explain your experiment to an outsider – and explain it well enough that he or she can then turn it into a series of pictures, a true team effort. In the process from discussion to script to rough art to the finished comic page only certain information will survive. It can’t contain as much as a traditional prose article, but you can be sure that what does remain is (a) the gist of what you want to say, and (b) the parts with the most impact – and this might please even the picky reader. Professor Uta Frith, University College London. See PDF for a draft page from a forthcoming graphic novel about social cognition. As academic psychologists, we never think of ourselves as professional writers, yet it’s the case that no matter how clever our experiments, observations, or analyses, if we don’t write about them the no one will know what we’ve been up to. To this end, I’ve been running classes on writing for MSc students at UCL and we talk to a variety of different people about writing and storytelling and voices. If you look at the top-cited papers in, for example, cognitive neuroscience, it is striking how well written they are (e.g. Martin Conway and Kit Pleydell-Pearce’s 2000 article on autobiographical memories). Clear, easy-to-follow papers take you on a clear narrative journey and rarely leave a reader going ‘Wait – what?’. Most importantly they usually make their point – their hook – clear at the start. It’s also worth remembering of course that scientific papers are written for an audience of peers – we are generally writing for other researchers, who may or may not be completely au fait with every detail of theory or methodology but for whom we won’t need to go back to first principles. But peers are just one kind of audience: writing for impact means aiming to engage with a wider range of audiences. This normally only really means thinking carefully about how you set out and describe your work – other factors are just as important, if not more, when writing for non-peer audiences. Below, I have listed a few of these factors that I have found it very useful to keep in mind when writing. What is your ‘hook’? This roughly means, what is the message you’d like people to take away from this? To be blunt, why should anyone care? Don’t be afraid to let go of jargon – as the novelist Will Eaves has pointed out when speaking to my students at UCL, not only can using jargon hide your meaning from the audiences, but it can also hide your meaning from yourself. You may be fooling yourself into thinking you know what you mean [Editor’s note: see also tinyurl.com/wordssorcery]. And don’t forget that audiences are not divided up into your peers and everyone else – writing for audiences can be very specific and it’s worth taking this seriously enough to find out what your audience might want. If I’m writing for The Guardian, I find I will take a different tone than if I’m writing for the BBC website. Don’t be afraid of taking this seriously. Who are you writing for? Why are you writing this? Don’t be afraid of trying to write well. As Stephen King says, writing should be mind reading. The words should disappear and the readers will just get straight to what you mean. Don’t be afraid to use your own voice. We all use language differently and this is also true of writing. Ask other people to read your work – and listen to what they tell you. If they tell you something is not clear, then don’t ignore them. When you write, imagine the smartest possible reader you could have, but the least informed. This reader will get whatever you have to say, as long as you explain it well without relying on knowledge that they don’t have. The most common error we make when trying to write outside of our specialist area is to overestimate the reader’s knowledge and underestimate their intelligence. Overestimating their knowledge leads us into using abbreviations, jargon and references that the reader doesn’t understand. Underestimating their intelligence can result us in trying to compensate by patronising or boring them with repetition. Thinking this way can free up even technical writing, making it easier to understand for everyone, not just non-specialists. Good writing is so hard because it requires relentless attention to the state of knowledge of your readers – what they start out knowing, what you want them to move towards understanding, and what the correct order of steps along the way is. Every sentence needs to be interrogated for what it assumes the reader knows: Is that word commonly used, or peculiar to my field? Is it clear why this fact is important? Can the reader see that this next claim is one I’m reporting, not one I believe? And so on. Don’t be fooled into thinking that writing for those outside your area is somehow cheapening. Learning to do this is upskilling, not dumbing down. Everybody outside of a limited circle of about 30 scholars is naive about aspects of your specialist topic which you take for granted. In this age of collaboration and increasing specialisation, outside of this circle of your specialist knowledge means most other psychologists, not to mention other scientists and scholars from different disciplines as well as the people who might be impacted by your work, as well as the curious public. This means that most of the readers of your papers, your collaborators, the people who review your grants, cases for promotion or impact statements are non-specialists. The better able we are to write for non-specialists the wider the impact of our work and further we can take our research. As a conversation analyst, writing about ‘talk’ presents an immediate opportunity as well as an immediate challenge. On the one hand, as my colleague Derek Edwards often observed, ‘talk’, as a phenomenon of social life, is there to be understood. We need it to live our lives. Talk is not like a black hole, which, although something that scientists strive to understand, does not exist in the first place to be understood by humans. So, writing for impact on the topic of talk should be a fairly straightforward task: the conceptual gap between audience and phenomenon is small. On the other hand, it can be a challenge to convince audiences that we need a scientific or empirical approach to the study of talk at all – surely talk is something thing that we ‘just do’? But in contrast to much of the psychological or popular literature, conversation analysts study real talk. They don’t simulate it, construct theoretical or idealised examples of it, or ask people about their communicative lives on a questionnaire or interview. They collect corpora of tens to thousands of audio or video recordings of talk in the wild, from first dates to medical consultations and from family mealtimes to cockpit interaction. The upshot of this work is that we understand how talk works in ways that often upend what we think we know, either from self-help or academic literatures. There’s little evidence that, say, ‘silence’ is about processing time; that women and men build social actions differently, or that our bodies leak the ‘real meaning’ behind our words. This can be uncomfortable to talk and write about too – but it is important to try. My work has impacted on service providers of all kinds, and I’ve managed to write about conversation analysis with impact, via public engagement activities at TEDx, the Royal Institution, Latitude Festival, and more. Communicating in this way about ‘everyday’ phenomena can feel like it should be easy, but end up hard. Yet the reward is when people begin to understand why academics do what they do, and see the importance of findings about something as simple as talk.